After the sugar prices fall and a devaluation of nickel in the international market, the tourism has become the most prolific industry of Cuba. During the winter season more than three million tourists have already visited the country. Cuba has always been known as “The Greater Antilles” for its leading role among the states of the Caribbean Community. It was kind of a big sister that lived off its exports of sugar cane, the best tobacco in the world and its more than friendly relationship with the Soviet Union, while the rest of the Caribbean islands were living exclusively off tourism. But after the fall of the socialist block, the country plunged into a deep economic crisis. 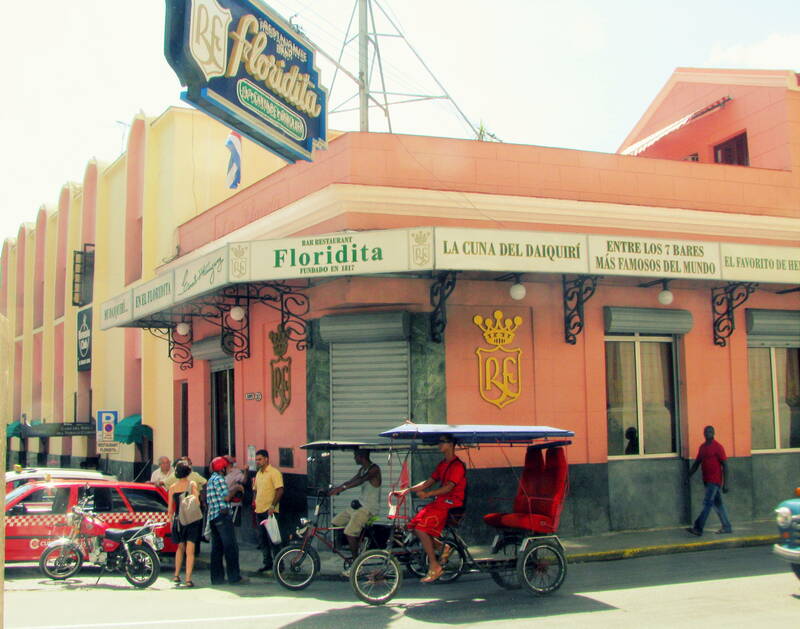 Floridita, one of the favourite hangouts of Ernest Hemingway in Havana. Sugar prices fell and nickel, a leading mineral of the country devalued in the international market. All of a sudden, Cuba became just another Caribbean country. But it still had tourism. 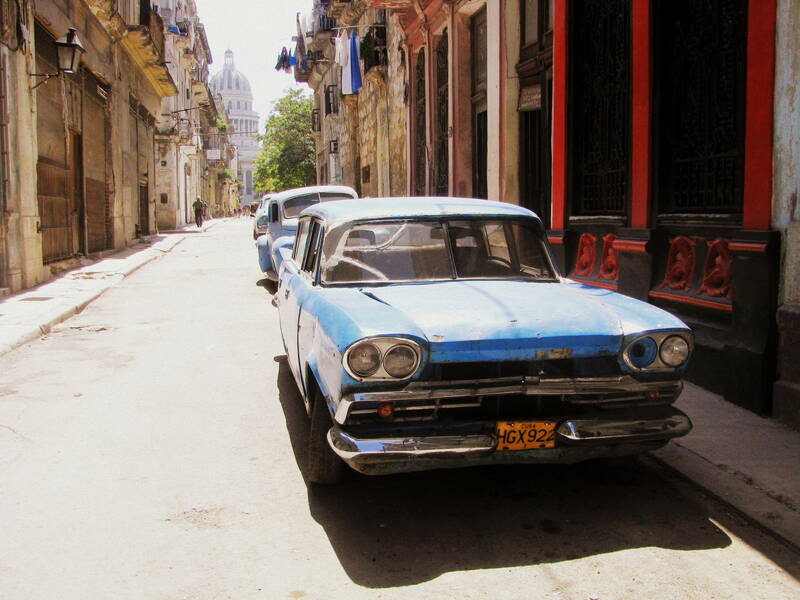 The Cuban tourism industry has grown rapidly over the past 10 years. 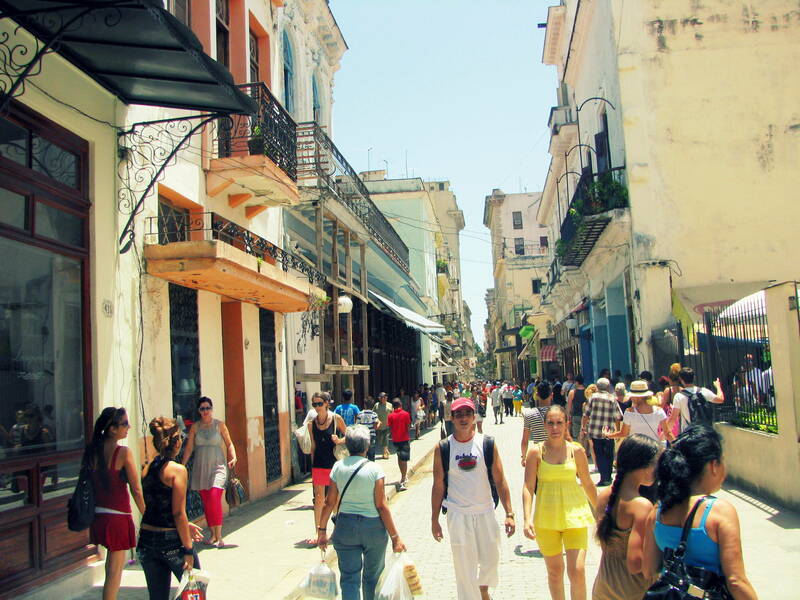 The revenues related to international tourism in 2015 increased to 2.546 million in convertible Cuban pesos (CUC), which is a Cuban equivalent of the dollar (USD), according to a data from the yearbook of the National Bureau of Statistics and Information (ONEI). During the last year Cuba was visited by over 3 million international tourists, including over 2.4 million visitors who arrived from America and more than 860,000 from Europe, according to ONEI. Canada is the largest issuer of tourists with more than 1.175 million, far ahead of Germany with more than 139,000 tourists. England, Italy and France also completed the Top 5. In the sixth place comes in the United States, but the thaw in diplomatic relations between the two countries has caused a wave of American visitors seeking to discover the Cuban reality. Only in the first months of 2016 over 100,000 tourists from the United States have already arrived in Cuba. The Rolling Car Museum on the streets of Havana, Cuba. The political scene in the island of Cuba, untangling for more than 50 years ago, after the seizure of power by Fidel Castro in 1959, now attracts a large number of visitors looking for something more than a sun and beautiful Caribbean beaches. It has been observed that there’s an increasing number of travelers who are coming to the island being curious to know the true story of the Cubans, beyond the natural wonders, mulatas of Tropicana and Havana Club rum, which the Cuban government intends to sell as the biggest attractions of the island. They seek to discover the reality lived by ordinary Cubans and above all, know the best product that Cuba can offer: its people. During the last year Cuba was visited by over 3 million international tourists. 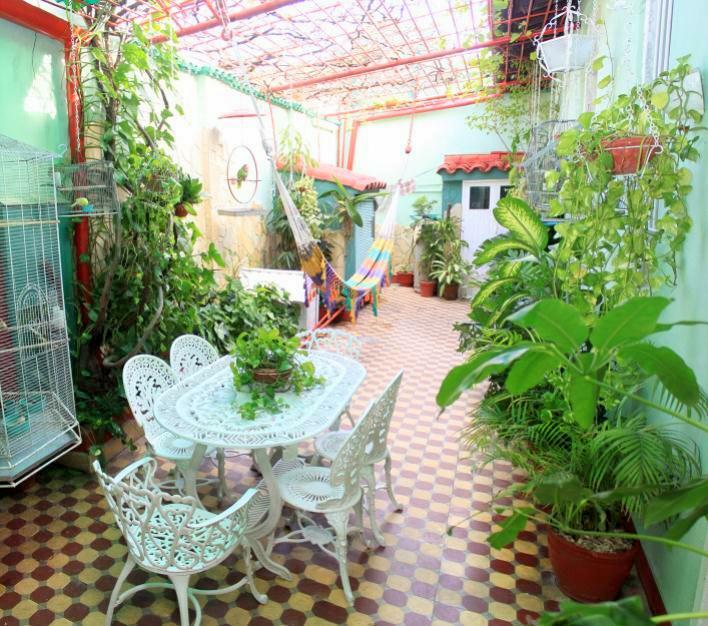 Only then can we explain the development of homestays (casas particulares), a type of establishments thriving in Cuba. Only last year more than 18,000 visitors chose this type of accommodation during their stay on the island. And once in Cuba 52,146 tourists decided to put aside high prices of the hotels to stay in Cuban casas particulares. But what makes them so successful? Many tourists interviewed by Soulidays preferred the comfort and personal service of the homestays over the resorts of hotel companies. 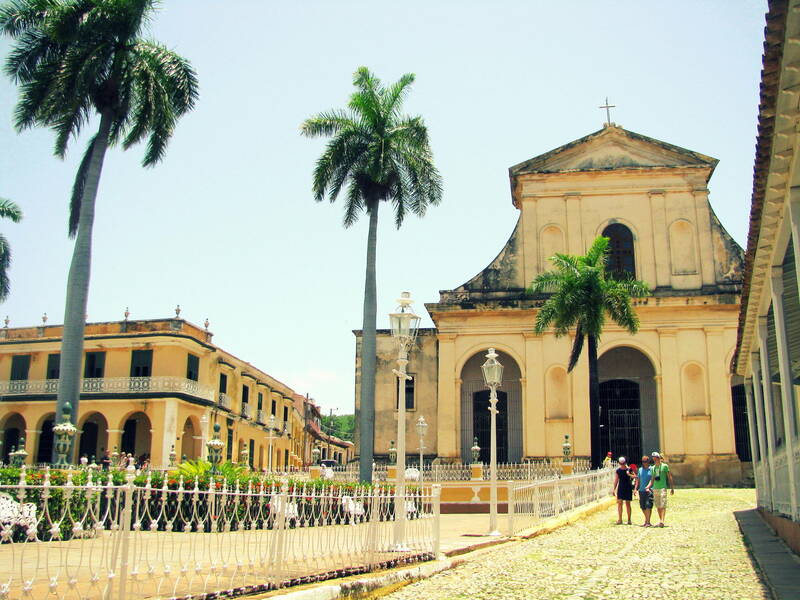 They also highlight the fact that you can more easily access and enjoy the historical and heritage values of the Cuban cities. Casa particular Auténtica Pérgola in Santa Clara. You can book it here. A young Swiss Sheryl Onody, visited Cuba for the first time with her husband and decided to book a room in a resort of Cayo Santa Maria, in the northern part of the province of Villa Clara, but after taking a tour to a colonial city of Remedios, they decided to return and settle in a casa particular. “It’s amazing to be able to visit a 500-year-old city and see it so well-preserved. What I like the most about it, is its architecture, but also its people who maintain deep-rooted cultural traditions, something that is impossible to see in Europe. Next year I will be back in Cuba around the same time of year to live the famous parrandas of Remedios, a Christmas Eve”, as she told Soulidays . The preferred month for tourists to travel to Cuba is March with more than 360,000 visitors, followed by 332,000 in December and January with 320,000 tourists respectively. The Americans who have visited Cuba over the past five years have opted for private accommodation in most of the Cuban territory. According to estimates, at least 25 % of those who arrive at the island stayed at casa particular. Inner courtyard with a hammock. Casa de Sra Olga Rivera in Santa Clara. Book it here! Nancy Whitley came from Boston, Massachusetts to the city of Santa Clara in the central part of Cuba in order to explore the city loved by the guerrilla fighter, Ernesto Guevara. “I was very curious about this part of the history. It is a friendly city with a great climate, high cultural taste and excellent food”, said Whitley. To these attractions add 3,000 local private restaurants (paladares) existing on the island, places that have managed to meet, with great ingenuity, some segments of the market that the state’ offer wasn’t able to satisfy. These travel preferences can also be explained by the fact that the homestay sector allows the use of other spaces (more room) and offers various non-hotel services, such as car rental, transport, private drivers, cafeterias and crafts stores, among others that makes Cuba an even more complete market. Trinidad a perfectly preserved Spanish colonial settlement where the clocks stopped ticking in the 19th century.